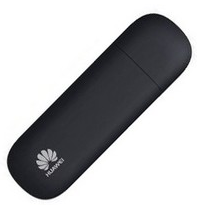 Huawei E3131 Driver Download - Huawei E3131 modem has a size of 20 x 16 x 6 and the design was sleek, rounded oval like most modem Huawei earlier, to insert the SIM card can simply shift the cover on the body and there is a cover on the USB Him. Problem speed modem Huawei E3131 has a speed HSPA + 21.6 Mbps and upload speed of 5.76 Mbps HSUPA, Huawei E3131 is also suport all for GSM operators looking for a place that only provide GSM network, the speed can be added quickly when using a 3G network , Huawei E3131 can also be used in 2G networks, to increase the speed to more stable again in this E3131 Huawei exsternal provide slot antenna, fit when you're jdi minimal area signal can install an antenna to increase the speed. Other features of the Huawei E3131 is contained Micro SD as modem Huawei more, can add a memory card into the slot that has been provided, Huawei E3131 can also send SMS and reply to SMS messages and make calls, of course, the function is very useful for checking the pulse and internet data we , Huawei E3131 can provide Internet access speeds reached 21.6 Mbps and uploads of 5.7 Mbps. These modems are pigtail slot so that you can use to strengthen the signal antenna axternal modem, but pigtail sold separately. we provide download link for Huawei E3131 Driver, you can download driver, Hilink and Device AutoRun and mobile partner for your device. for windows, automatic installation for Huawei E3131 Driver when plugged in device.